Chocolates, chocolates &.... more chocolates! A box full of sweet awesomeness! 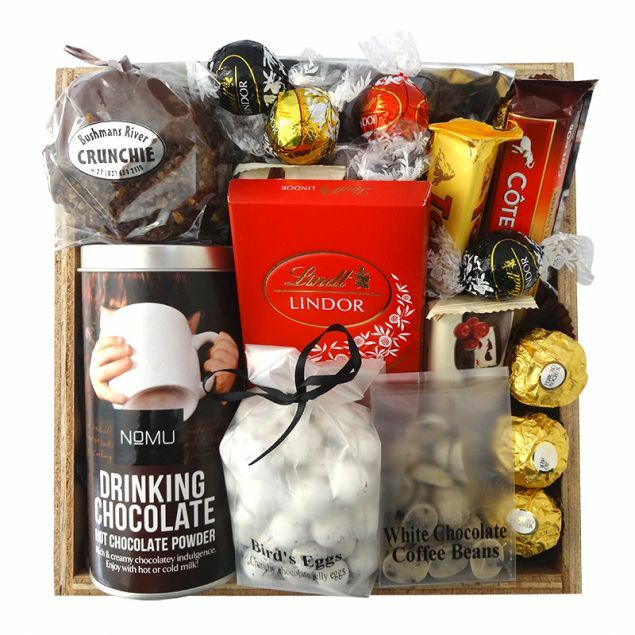 Nomu drinking chocolate, a Lindt Lindor slab, Lindt truffles, chocolate peanuts,chocolate nougat and more. Enjoy!